When you sign up for Ladies Get Paid, you'll be invited to our private online network where thousands of women from around the world share advice, resources, and job opportunities. You will also receive our weekly newsletter with upcoming events, workshops, webinars, blog articles, and more. One of the best things about Ladies Get Paid is our online community. Whether you're looking for a job, a mentor, or some other ladies who want to get paid, we have thousands of women around the world who have your back. Our programming is all about getting you paid and getting you promoted. Fill your calendar with both online and in-person education that will get you ahead at work. Organized by local ambassador committees, we host regular meetups currently in 20 cities. Caffeine and/or booze is usually involved. Connecting likeminded women is always involved. We're building a library of resources made by and for women to help you advance in your career. 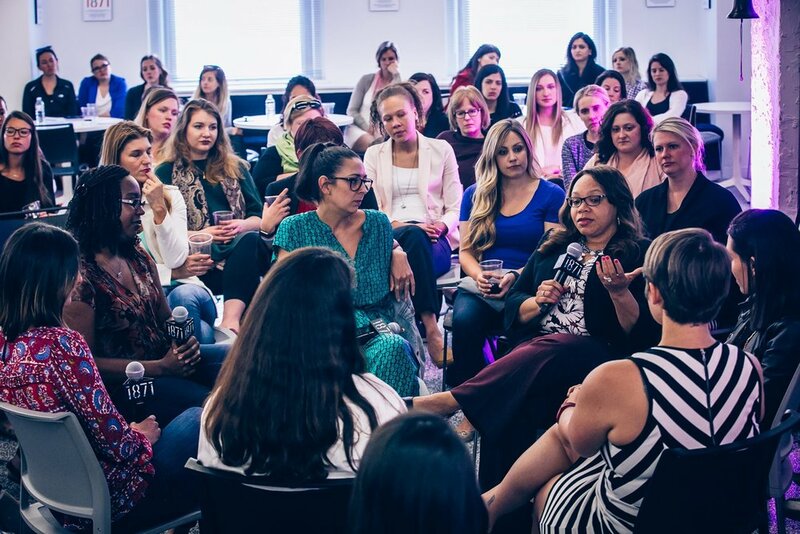 Resources range from video masterclasses with some of the baddest women in business, workshops, downloadable guides and more. Check out our first video course, How to Negotiate Like a Pro.